Have you heard of Linux before? Maybe you have, but you’re not really sure what it is, how it works, or how you can use it. Luckily, we’re here to help with an in-depth guide to this operating system. Read on for everything you need to know about Linux! Linux is an open-source technology, meaning that it was created by developers who leave its original source code freely available for distribution and modification. The software itself is an operating system, like Windows or Apple OS for Mac computers. It was created in 1991 by Finnish student and developer, Linus Torvalds, whose aim was to produce a free operating system kernel for personal computers. He succeeded, and that kernel has grown constantly over the years, modified, added to and used by thousands across the globe. Linux is modelled closely on UNIX, another widely used multi-user operating system. It is the leading operating system in use on servers, supercomputers and mainframe computers worldwide. It’s less widely used on desktop computers, but its popularity in that field has grown significantly in recent years. When you decide to use Linux, whether it be on a desktop computer or something larger like a server, you’ll usually need to choose something called a Linux distribution. 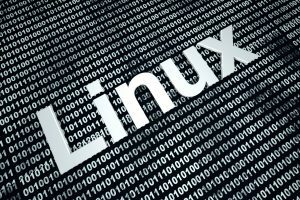 Linux distributions are operating systems that are based on a combination of the Linux kernel and a package management system. Some of the best-known examples of distributions include Ubuntu, Mint, Fedora and openSUSE. Using one of these or the many other distributions simply streamlines the process of implementing Linux, allowing you to skip the step of assembling and configuring all the necessary components yourself. In many ways, Linux and Windows are quite similar. You’re probably familiar with the Microsoft operating system, so when you use Linux, you’ll note several similarities – but also a few key differences. Like Windows, Linux has a graphical interface, which allows users to interact with it using icons and visual indicators rather than text commands and navigation. There are also Linux equivalents for virtually all the programs you’ve used on Windows, such as Office applications. Most Windows-based applications and programs you can name will have a similar version on a Linux operating system. The differences between the two systems first become evident when you recall the fact that Linux is open source software. This means that the code used to create it is freely available to anyone to use and even edit if they can, making it a highly customisable piece of software – and therefore a highly desirable one, too. Windows, while still perhaps the most popular operating system available, does not allow any public access to its source code, meaning your customisation options are limited. This key difference also means a difference in licensing. Anyone is able to download a single copy of a Linux distribution or application and install it on multiple machines, but Windows is restricted – you are only able to install and utilise Microsoft licences on one machine at a time. Installation of external programs is another example of a process that differs between Linux and Windows. The process is simpler with Linux; it utilises a package manager, which allows you to browse, install and remove your programs in a more direct and streamlined fashion than the Windows installation package allows you to. Both Windows and Linux have their advantages and disadvantages. Perhaps the most common advantages of Linux are its lower cost, its customisability, and its reliability and security. Its most common disadvantages, when compared to Windows, are the steep learning curve users must face to master it, and the fact that many commonly used programs will not run on Linux. However, these issues can be overcome with the right insight and training, which we’ll look at in further detail below. There are also plenty of everyday gadgets that you may not realise run on Linux. Do you have a phone that runs an Android operating system? Or a camera, video recorder, or digital storage device? If so, you may be surprised to learn that you’re using Linux every time you use one of these items! The steadily growing use of this system is testament to its potential to help businesses achieve greatness. But can the everyday user or small business owner utilise Linux to their advantage? Can I learn to use Linux? Linux, though it’s a fairly advanced system, can be learned and navigated by the reasonably tech-savvy. It’s not just for big corporations and enterprises like the ones we mentioned above; more and more small businesses are migrating to Linux every day, and you can too. There are plenty of online training sources that can help the average user master the basics of Linux. Organisations such as The Linux Foundation, Linux Academy, IBM and the Linux Professional Institute all offer comprehensive online training designed for those who want to learn all there is to know about using Linux. So, have you decided to make the switch to Linux? If so, you’ll be glad to learn that plenty of support and integrated services are available to help you manage your business on the new operating system. Many web management service providers such as Web24 have embraced Linux, offering a variety of specific plans, dedicated web hosting, cloud VPS configurations for Linux VPS and Ubuntu, and more. Tailored solutions like these will allow you to make the absolute most of Linux. So check them out today and set out on your Linux journey!